Binge watching is sometimesone of the only things that makes a long-haul flight, road trip, or long-distance traveling tolerable. If you want to catch up on your favorite TV series or stream a movie you didn’t see in the theater, you don’t have to be tech-savvy to access media content on the road. You just need to plan ahead. 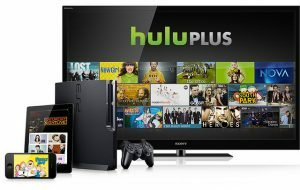 If you don’t have Netflix or Hulu, or the content you want isn’t available for download, see if you can find it on iTunes and buy or rent it there. If you buy it, you have the added bonus of always owning that content, so you can watch it over and over to your heart’s desire. But you can only watch the Netflix/Hulu content for a limited time. If it’s ever removed from the streaming services, your copy will be lost as well. Your cable subscription may also provide this as an option. For example, if you subscribe to AT&T U-verse, you can watch anything on-demand via the app using your phone, tablet, or laptop. You can’t download the content for offline viewing, but you can at least catch up on your past shows. Some services will even let you watch your own DVR content. You can also buy a subscription to the movie services like HBO Go or Showtime Anytime. You can download movies there, and watch them later, or just stream them from your device. But if you’re a cord cutter, you can still buy a subscription to these services and watch on your device, even if you don’t have cable. If you own DVDs, you’re allowed to — that is, it won’t violate copyright — “rip” movies directly from the DVD and save them to your hard drive. You can save them to your hard drive, save them to the cloud (which still requires wifi while traveling), or even put them on a large thumb drive or SD card to watch on you laptop. Or if your laptop still has a DVD drive, pop in your favorite movie or TV show and leave it in the drive. That way, you don’t have to carry it in anything special to protect it. Keep in mind, you can only do this with one disc. If you’re traveling internationally or don’t want your online activity tracked, you can purchase a virtual private network (VPN). This is a smart idea to begin with, because it provides additional security for all your data traffic while you’re abroad. But a little-known feature is the ability to set the device’s location to any city. Not only does this provide you with the ability to protect your actual location, it also enables you to access content airing in a city or country that you may not have access to by any other means. For example, if you are traveling overseas and want to watch Netflix, set your VPN for a US city, and you can log in via your mobile device. Make sure you have a VPN that works however. Some VPNs don’t seem to work on Netflix or Hulu, so do some research before you pay for a VPN subscription. If possible, use a free trial period to determine whether it works or not. Do you watch your favorite shows and movies while you’re traveling? How do you get access to it? Share your tips with us in the comments below, on our Facebook page, orin our Twitter stream.